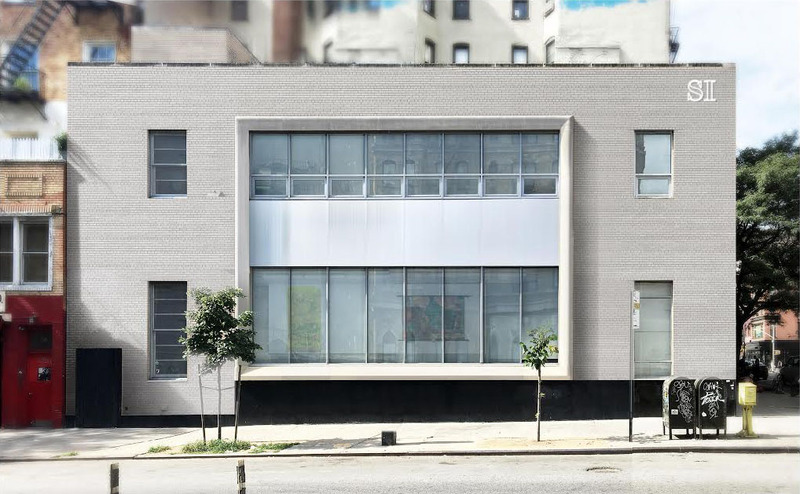 The Swiss Institute (SI) announced this morning that it will be moving to the corner of St. Mark’s Place and Second Avenue in Manhattan’s East Village. Selldorf Architects will be renovating the preexisting building, a former bank. The new 7,500-square-foot building will house four levels, including a basement, ground floor, second floor, and roof. This scheme will contain spaces for exhibitions, projects, public programs, a library, a bookstore, and a rooftop. It is slated to open spring 2017. The SI is a nonprofit contemporary art institution with a focus on experimental art that promotes forward-thinking artists and designers with exhibitions and programs. So, part of the draw to its new location is its proximity to Anthology Film Archives, Cooper Union, Danspace Project, ICP, La MaMa Experimental Theatre Club, New Museum, New York University, The Poetry Project, and The Public Theater. In addition to announcing its relocation, the SI said that nine new trustees will join the board and that Maja Hoffman will be taking over the role of chair. “I am thrilled to begin my tenure as chair with the support of such a stellar, expanded and international Board of Trustees, at the start of an exciting new era for the organization. I am looking forward to working with the exceptional Swiss Institute team as they thoughtfully develop the institution and its program in the context of such a storied, creative neighborhood,” Hoffman said in a press release.